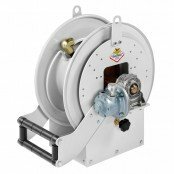 The direct drive air driven range of RAASM reels have been designed with superior strength to outlast and outperform all competitors in its class. 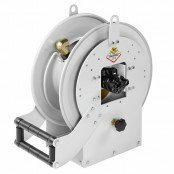 The COX 1175, 1185 & 1195 Series are designed to handle long lengths of large diameter hose for increased volume delivery. 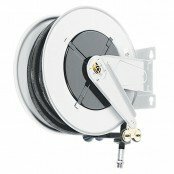 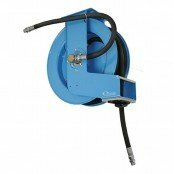 The exclusive low profile outlet riser and open drum design provides a non-crimping, flat smooth hose wrap. 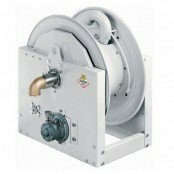 The A-frame base provides exceptional strength to handle the extra weight without sacrificing performance, even in the most demanding mobile applications. 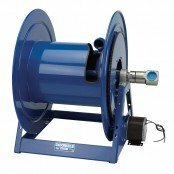 The RAASM 540 & 560 Series Reels bring a cost effective solution to increasing your efficiency whilst not compromising quality or performance levels. 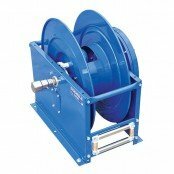 The ULTRAFLO 700 & 750 Series Reels are the most common, most renowned, most sought after reel in the Australian market. 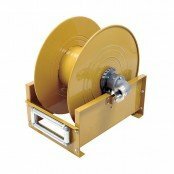 This heavy duty reel is for high volume oil fuel transfer applications, making it the back bone for many industrial and mining applications which demand a reel that stands up to the toughest environments.